Are We Heading In The ‘Right’ Direction? That depends on the meaning of the word right. Right? If growing the national debt faster than gross domestic product is the right direction, then the Obama Administration is correct. 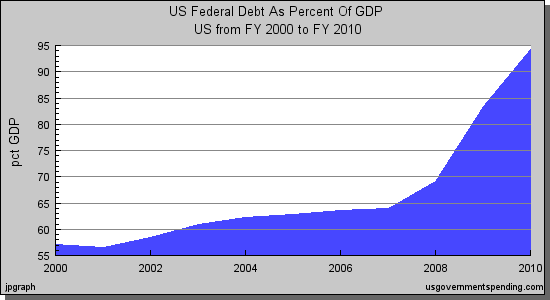 If the goal is to reach a 100% debt to GDP ratio, as quickly as possible, then the Democrats are correct. If doubling-down on the failed part of Bush policies (i.e. deficit spending) is the right direction, then Democrats are up to par. 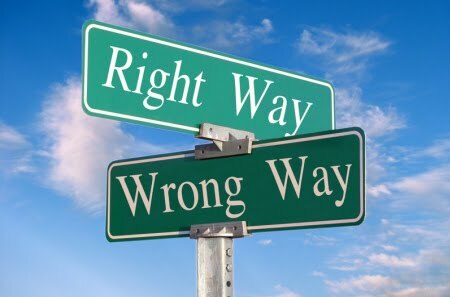 However, if the term ‘right direction’ means that we are heading towards a Conservative resurgence in November, then that would be an honest assessment. Every time I hear Democrats make this declaration in the coming weeks, I’ll be thinking about the Conservative resurgence. The chart below shows the direction we are heading. In May of 2003, tax cuts were enacted. 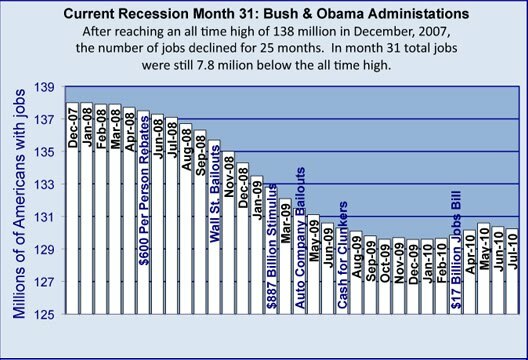 The tax cuts were responsible for the creation of 7.3 million new jobs beginning in August of 2003 and lasting through the end of 2007 (source: http://libertyworks.com/bush-tax-cut-myths-and-fallacies-1/). Tax cuts are the only proven method for bringing an economy out of recession. The deeper the tax cut, the greater the expansion. If the goal is to grow the economy, create jobs, and increase tax revenues, then tax cuts are the right direction. However, if the goal is something more sinister, then one must brainwash their constituents into believing that ‘tax cuts cause recessions’; that we are somehow heading in the right direction, and that a tax hike will further this trend. 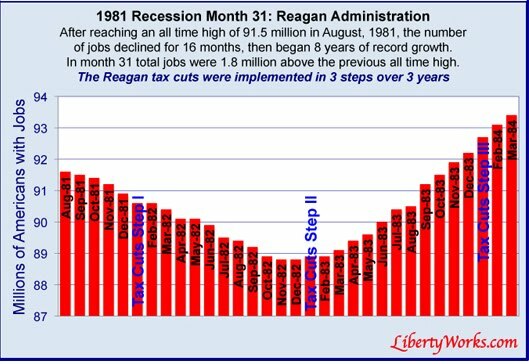 The facts show that the 1983 and 2003 tax cuts brought us through successful business cycles. In 2008, the housing bubble burst, credit markets froze, and we fell into a deep recession, but tax cuts didn’t cause the recession. If you listen closely, a year ago, Obama was saying the recession was caused by the ‘lack of affordable health insurance’, and today he’s saying that it was caused by ‘tax cuts’. I suppose next he’ll be saying the recession was caused by climate change. Are Democrats doing anything other than gumming up this recovery with ill-conceived stimulus policies? Are we really heading in the right direction? Credits: Photo via sapientsparrow.wordpress.com charts via USGovernmentSpending.com and LibertyWorks.com.